Bobs are one of the most popular looks right now. Actually, we take that back. Bobs are one of the most popular looks of any time period. That’s because they’re pretty on virtually every face shape, they’re relatively easy to style and they come in so many different versions. One of them being the inverted bob. So whether you’ve been rocking a bob for a few years now or you’re thinking about requesting one the next time you sit in your stylists chair, consider giving an inverted bob a try. In a few minutes, you’re going to see why it’s one of the best-looking bobs going. 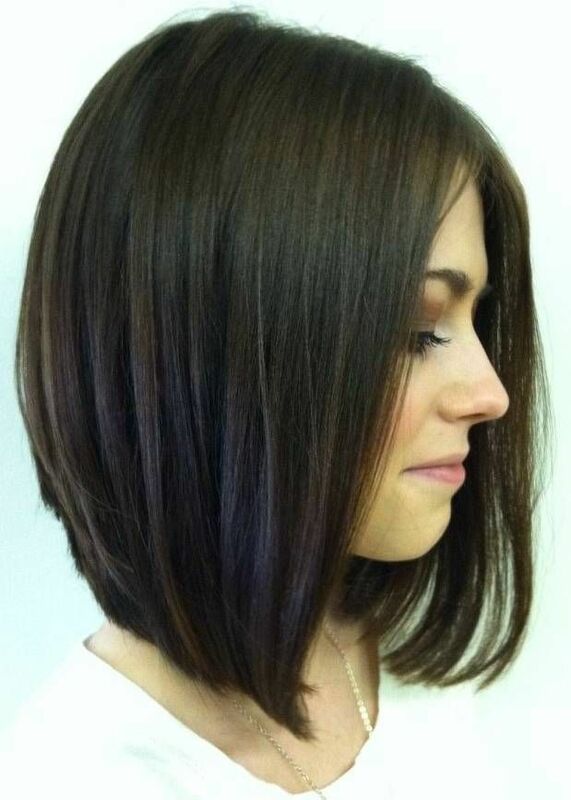 This particular inverted bob is great because of all of the long layers. Being that it was cut with a razor gives it a “wispy” effect and the bangs also help to soften her face. It’s pretty much a perfect kind of hairstyle. The cut is cool. On, but the tri-colors? That makes this inverted bob the absolute coolest! Some inverted bobs are long like this one. It’s amazing-looking on thick straight hair. 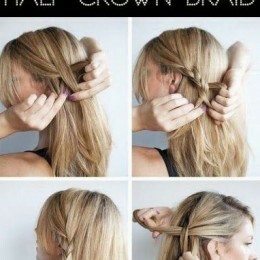 This is another great look for thick straight hair. You’ll need a lot of length through your crown and in the front to pull this off, but as you can see, the results are quite striking. 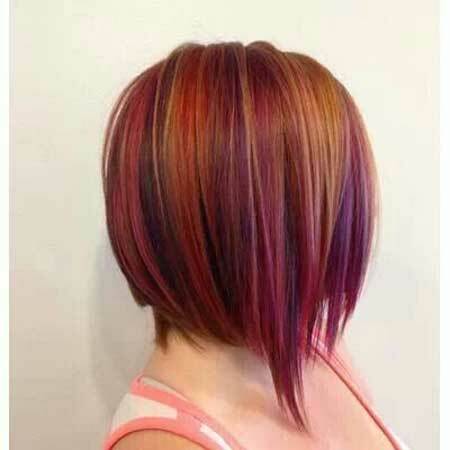 This is just one more kind of inverted bob for thick hair. It’s very similar to the other one we showed you. Only shorter. Do you have naturally wavy hair? If so, don’t straighten it! Cut it into an inverted bob and you’ll suddenly find yourself in beautiful-yet-totally-low-maintenance heaven! 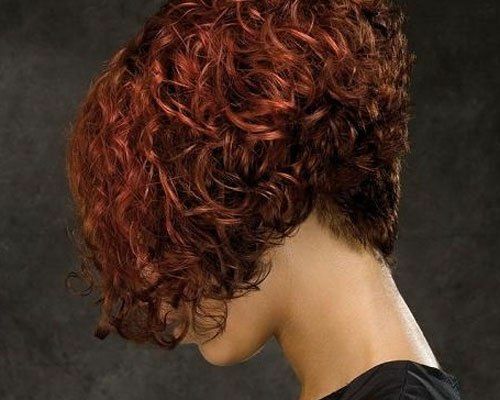 Or if your hair is super curly, you can make the inverted bob work for you as well. Our suggestion? 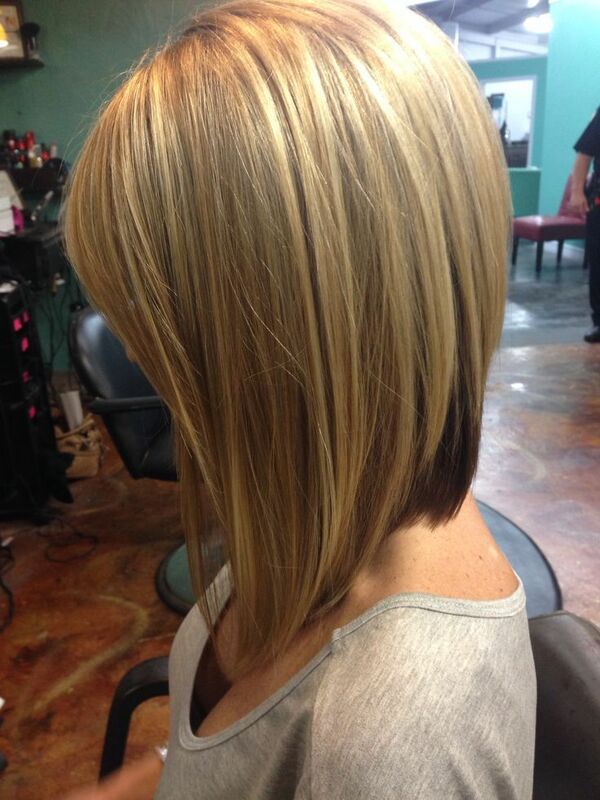 Add some light color in the front and dark color in the back, similar to this look. 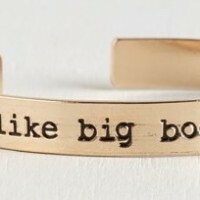 That will complement your curls perfectly. 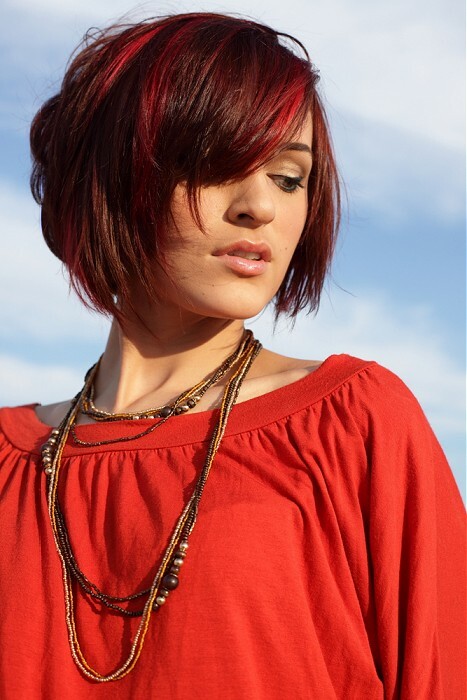 This inverted bob is one of our favorites and as they say, there is nothing new under the sun. The 60s had some really great things about it. One of them was hairstyles just like this one. Did you know that one of the biggest hair colors going right now is violet? 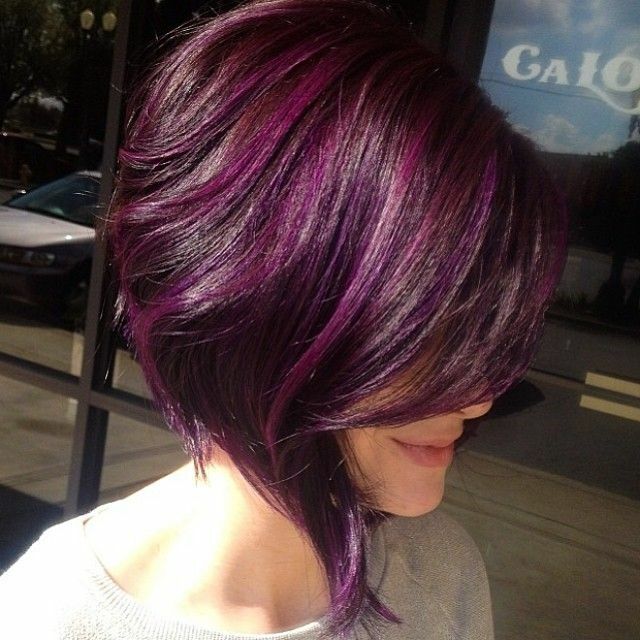 If you’re not ready to permanently color your hair this shade, you can always have some purple streaks put into it. 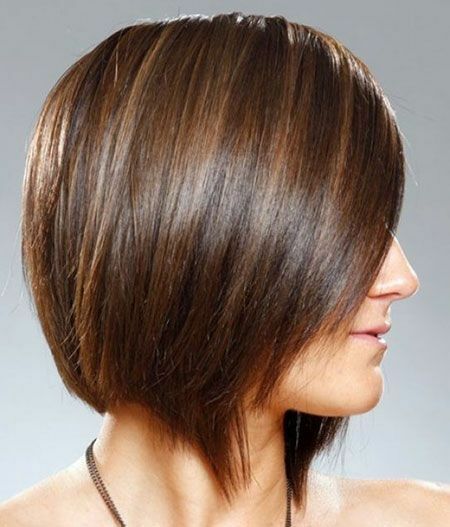 One subtle thing about this inverted bob is the fact that the sides are slightly longer. It’s a nice and simple touch. Bangs are popular. So, we had to make sure to show you how to make an inverted bob work with them. We figured since this entire feature is about inverted bobs that it would be a good idea to show you some of the ways it’s styled in the back. This one has nice layers that can add thickness if your hair is a bit on the thinner side. 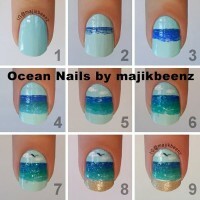 Cute, cute and then some more cute! We’ve got nothing but love for the asymmetrical inverted bob! If you’d prefer to have the kind of bob that doesn’t look like you just got your haircut, here’s an option. It’s “messy” and still really appealing. 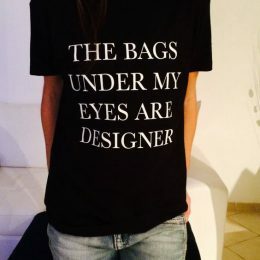 Ah yes! 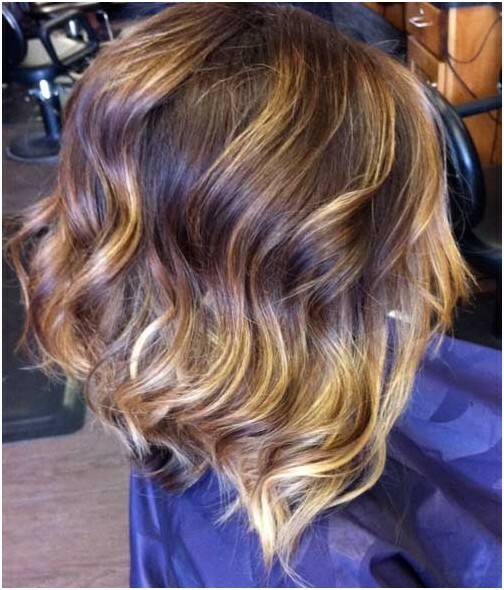 An inverted bob with soft highlights and big curls. Perfect for a date or a wedding (whether you’re a guest or even the bride!). This is another kind of inverted bob for curly hair. The layers make it so pretty and really easy to style. Red really is a big hair color right now. But even if you don’t want to dye your entire head that color, you can always add a few red highlights to your inverted bob. Everything about this says “ready for the beach”, doesn’t it? It’s the perfect summer inverted bob look for naturally wavy hair. 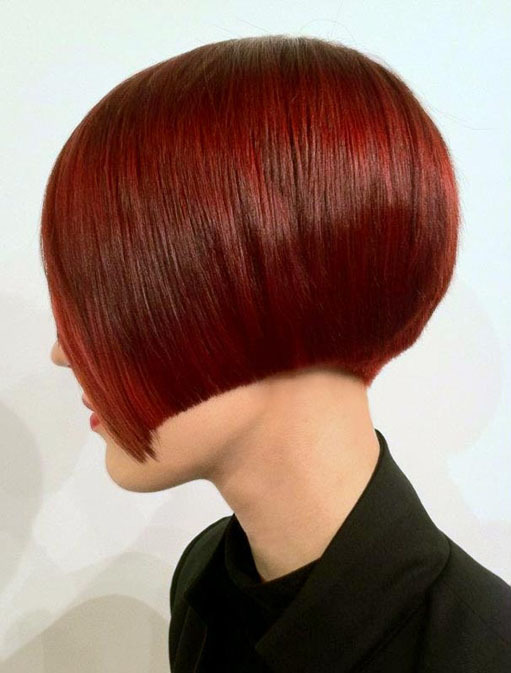 A great way to incorporate thick and red hair is with a short and blunt inverted bob like this one. It’s not for everyone but if you’re daring enough, we’re pretty sure that you’ll get at least three compliments each day on how good it looks.